Kristin Thorne has more from the scene. 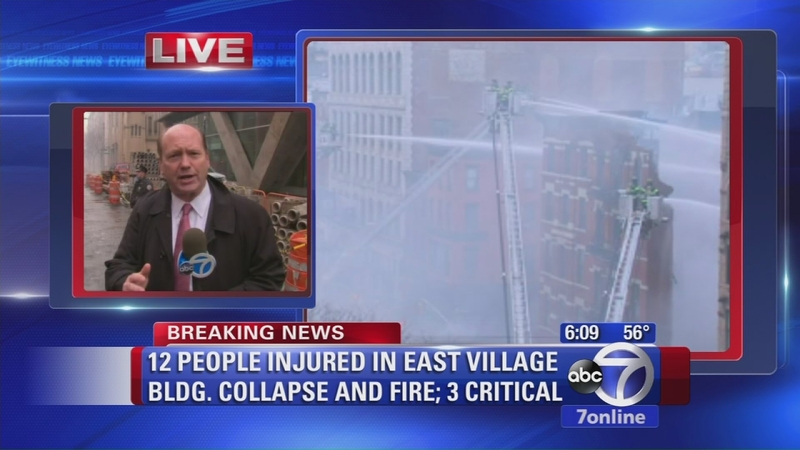 NEW YORK, N.Y. -- City officials tell ABC News that two bodies have been discovered in the rubble of an apparent gas explosion that leveled three buildings in Manhattan's East Village. The identification process of the bodies is pending. Two men in their 20s have been unaccounted for since the blast, Nicholas Figueroa and Moises Locon. Witness accounts said the two men were in close proximity to each other just before the blast, so they were anticipating that both would be found near each other in the rubble. The cleanup is scheduled to take up to a week but could be done as early as Tuesday. Searchers have encountered sections of debris that are still smoldering. In the aftermath of the devastating explosion, many questions still remain. Was the gas line that caused the blast tampered with? Who should be held responsible? And will criminal charges be filed? It is still a surreal scene, set against the backdrop of the trendy Manhattan neighborhood with piles and piles of debris, glass and fragments now all that remains of three longstanding buildings along 2nd Avenue after the explosion. About 50 firefighters remain on site to target hot spots and to carefully sift through the rubble, along with emergency response teams and specially trained dogs, searching for anyone who is possibly trapped below. 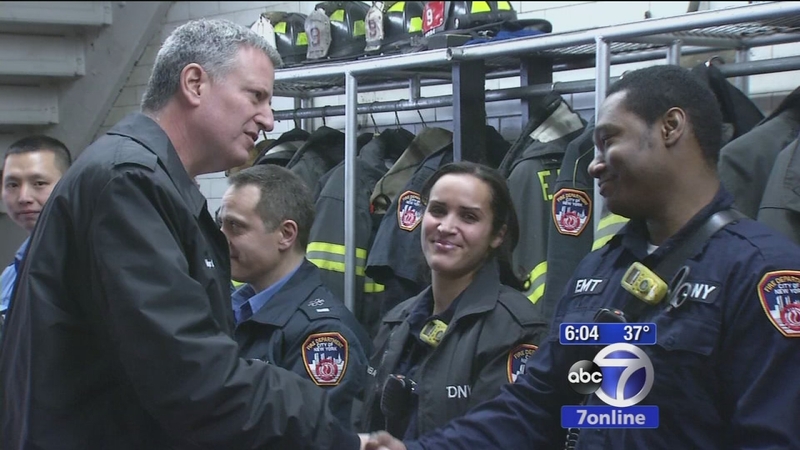 Mayor Bill de Blasio made a special visit to Engine 33 to personally thank some of the first responders who showed amazing bravery under pressure, including Mike Shepherd, who climbed up a fire escape looking through the apartments. AJ Ross has more from the East Village. 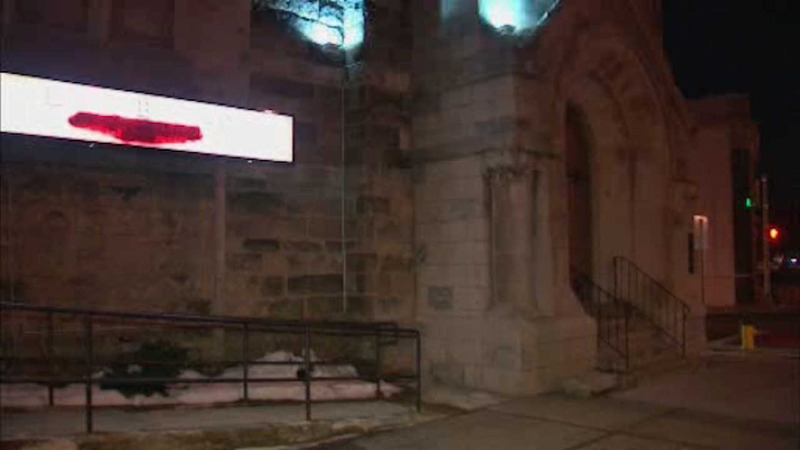 A church near the scene that has been closed since the explosion, the Middle Collegiate Church, reopened Sunday morning with a prayer for the missing, and for members of the FDNY and NYPD who have been working at the site of the explosion. 26-year-old Moises Locon and 23-year-old Nicholas Figueroa were last seen inside Sushi Park restaurant, which is the believed source of the blast. Neither have been heard from since. As the search for both men continues, so does the investigation into how all of this happened. Con Edison workers were at Sushi Park just an hour before the blast to inspect the gas line work that the building's plumber was doing. The question now is whether that valve was tampered with, causing the gas leak, which authorities say could have criminal implications. 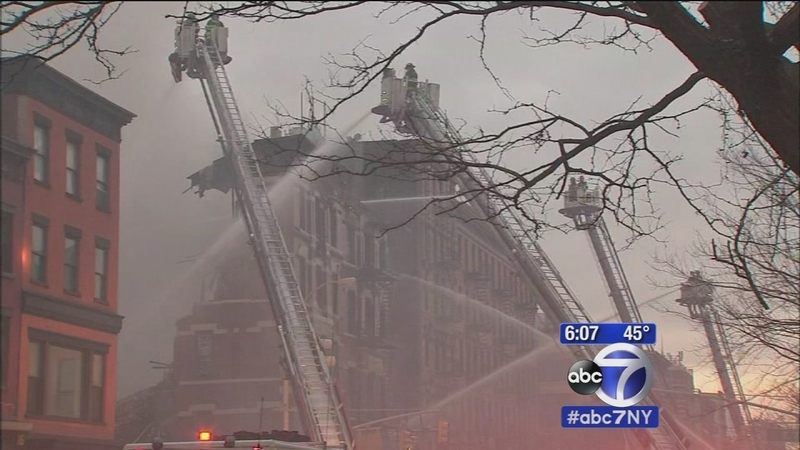 Two city officials tell ABC News that investigators are also looking into reports from tenants that they were told by building management to report gas problems to the landlord and not Con Edison or 911. Some tenants claim they were given those instructions as late as Thursday morning, just before Con Ed inspectors were scheduled to examine plumbing in the basement. 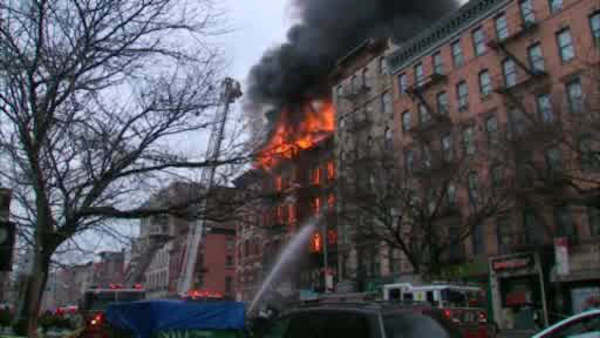 Con Ed also confirms the building's plumber failed two inspections including the one conducted Thursday. Photos from the building explosion in East Village that killed two people and destroyed three buildings in March 2015. On Saturday, the families of Locon and Figueroa frantically searched, showing photos of their loved ones and asking for help. Figueroa's relatives said they were holding out hope. "My brother is strong," said brother Neal Figueroa told reporters. "Even if he is still in the rubble, I know he would still be in a predicament to get himself out and so I'm just praying for that." Authorities also were exploring whether a third person was unaccounted for, Chief of Detectives Robert Boyce said. But as of Saturday, no one else was believed to be missing related to the explosion. The FDNY arrived on the scene around 3:15 p.m. Thursday and found the first and second levels of 121 2nd Avenue blown out and smoke pluming throughout the five-story building. It is believed the explosion happened inside a restaurant on the first floor, called Sushi Park, and de Blasio said the preliminary investigation points to gas and plumbing work inside. "There's a lot more we need to learn," de Blasio said Friday. FDNY Commissioner Daniel Nigro said that for the first 15 minutes before the building started to collapse, firefighters made extremely dangerous searches of the buildings to locate any victims before eventually pulling out. All buildings on the nearby block were evacuated and utilities on the block were shut off, but as of Saturday morning 40 apartments are ready to reoccupy. Second Avenue remains closed to traffic from Fifth to 14th Street. Crosstown streets remain closed on Sixth and Seventh streets and St. Marks Place. At least 22 people were hurt, four critically, including five uniformed personnel, in the explosion and collapse. 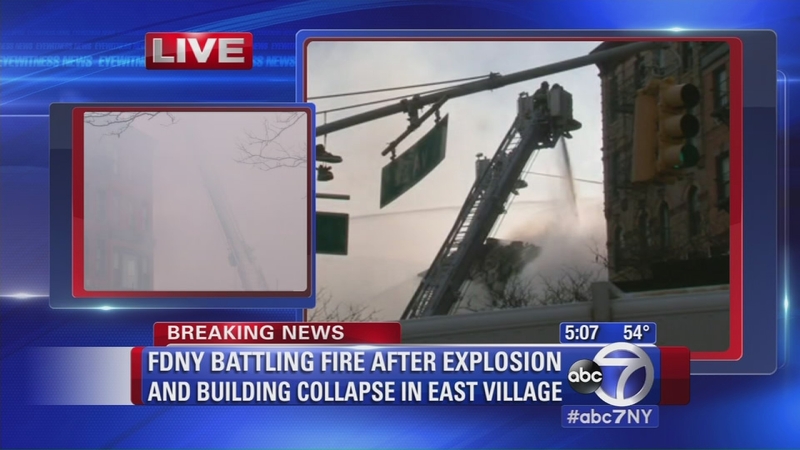 According to the New York City Fire Department, four firefighters were taken to area hospitals and one EMS worker was evaluated on the scene. Victims were taken to Bellevue Hospital, Mount Sinai Beth Israel and the burn unit at New York Presbyterian/Weill Cornell Medical Center. The family of a 23-year-old man says he is missing following the explosion in the East Village Thursday that left 22 people injured and led to the collapse of three buildings. Southbound vehicular traffic remains closed from 5th Street to 14th Street on 2nd Avenue. Crosstown vehicular traffic remains closed from 6th Street to St. Marks. The East Village Resident Service Center is open at 331 East 10th Street, and a Red Cross displacement shelter is open at P.S. 63 at 121 East 3rd Street. 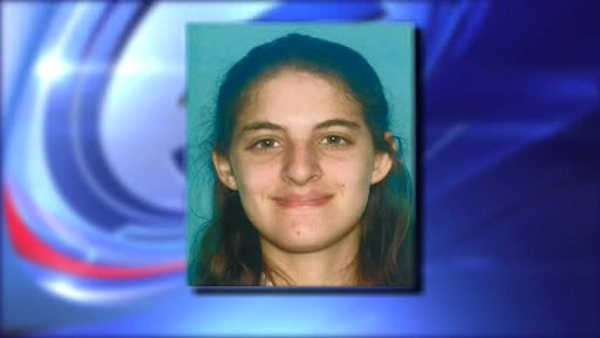 Police ask that the public call 311 to report anyone missing.